NEW! 168HP Prostar® Turbo H.O. 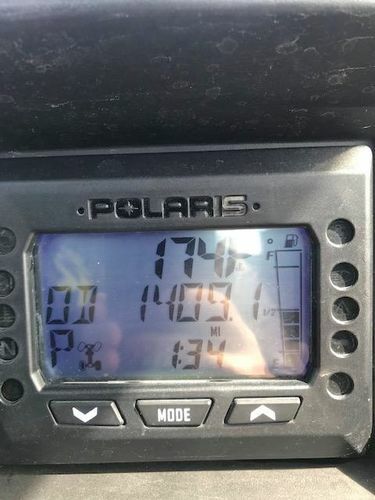 Engine: For those who believe that there's never enough, the 168HP Polaris ProStar® Turbo H.O. engine takes extreme performance to a entirely new level. The ProStar® Turbo H.O. is the most powerful RZR® engine available from the factory for unequaled power, torque, durability and off-road excitement. 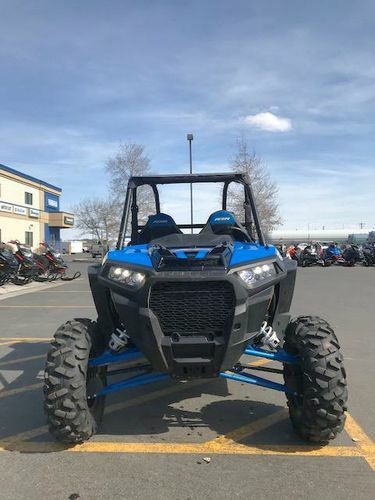 The new engine is built for performance and durability with forged pistons, a 270 degree firing order crankshaft, high strength connecting rods, closed deck cylinder and sodium filled exhaust valves. To control the massive power delivered by the ProStar® Turbo H.O., the engine management system has also been updated with improved knock detection and boost control as well as high flow fuel injectors and new cam shafts. All of these systems allow the engine to deliver maximum power under all conditions. 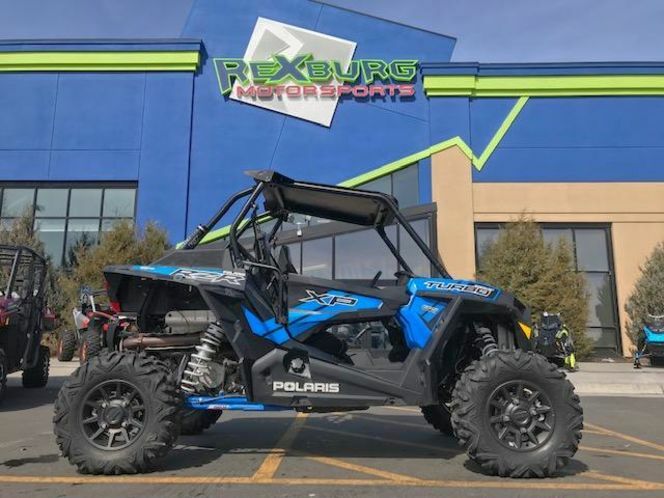 Massive Torque for the Off-Road: With an incredible 95% of torque available from 5,000 to 8,000 RPM, the RZR® XP Turbo delivers remarkable performance right out of the gate and continues delivering up to a massive 114 ft-lbs of peak torque! 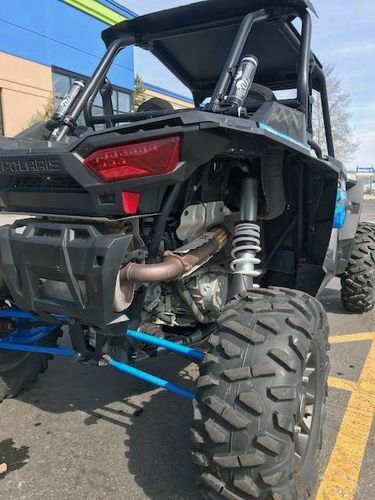 This grunt matched with the extremely long power band makes it ideal for all types of riding, including rock crawling, trails, desert, and dunes. 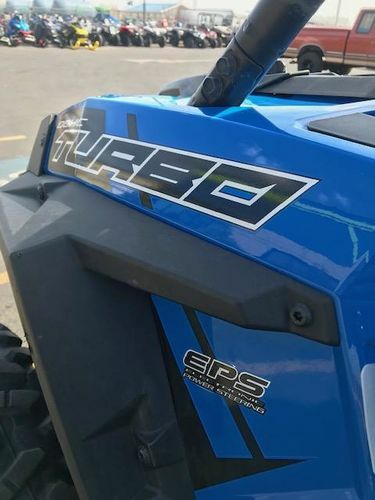 Transferring Xtreme Power Into Xtreme Performance: To harness all that power and deliver it to the ground, the RZR® XP Turbo EPS features a driveline engineered for durability, efficiency, and ease of operation. The ultra-efficient driveline features a high performance Polaris Variable Transmission (PVT) with an all-new thicker, stronger drive belt to be sure HP turns into reliable performance. The driveline also features stronger rear half shafts to deliver power to the rear wheels as well as a stronger High Performance True On-Demand All-Wheel Drive to reliably deliver power to the front. And this driveline isn't only durable and efficient, the fully automatic PVT efficiently delivers optimum power in all conditions and provides an ease of operation that suits riders of all types. NEW! Cooling Systems for the Harshest Environments: For 2017, the RZR XP® Turbo features a completely upgraded cooling system for reliable performance in even extreme temperatures. The new cooling upgrades include a 20% larger engine radiator for more cooling capacity and a huge front grill that's 40% larger to increase air flow to the radiators at any vehicle speed. Behind the new radiator is a new, more powerful variable speed brushless fan that not only pulls 25% more air through the system, but it pulls it through earlier to keep the vehicle running cooler while only operating as needed for a quieter ride. And larger, dual sided rear intakes paired with an improved clutch cover design pumps air more efficiently to the new belt, keeping the belt up to 30 degrees cooler and keeping you riding in the even the harshest environments. 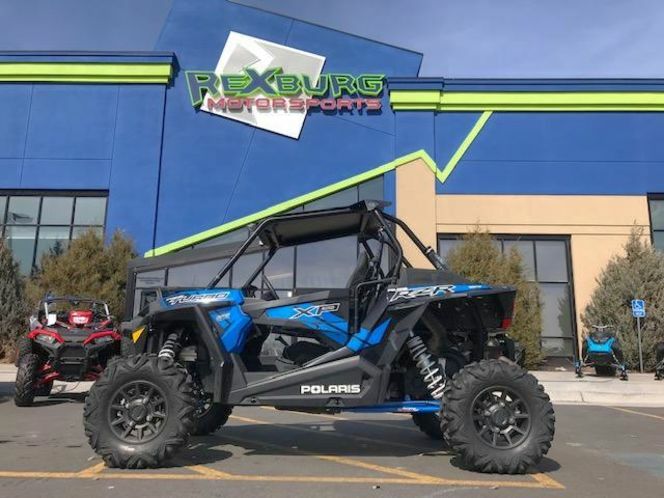 Industry's Premium Fox Internal Bypass Shocks: With more performance packed into a side-by-side than ever before, the RZR XP® Turbo demanded a more advanced suspension system, even beyond the RZR XP® 1000's near bottomless ride. The RZR XP® Turbo shares the trophy truck inspired suspension traits proven legendary by the RZR XP® 1000. But the RZR XP® Turbo takes it to a whole new level with industry's premium FOX Podium Internal Bypass shocks. 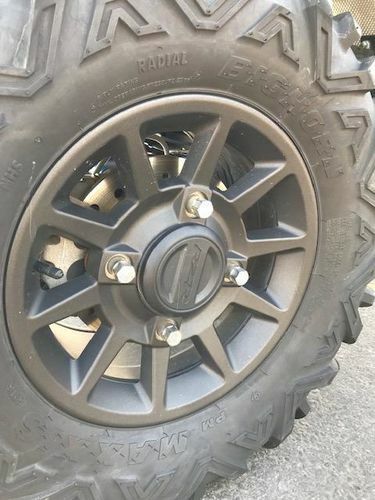 With 5 compression zones, its like having 5 unique shock set-ups packed into 1 to adapt to any terrain at any speed without compromise. 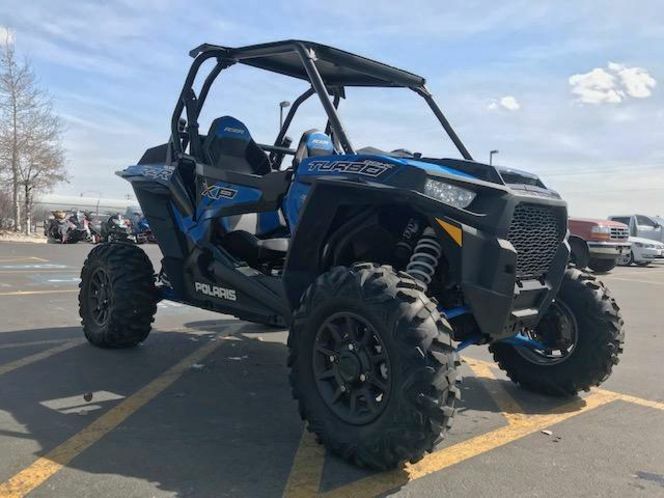 When you get behind the wheel of a RZR XP® Turbo, you get the best of all worlds with a bottomless feel no matter how you ride. Race-Inspired Suspension for an Ultra-Smooth Ride: The race-inspired 3-link trailing arm rear suspension serves up an incredible 18-inches of rear wheel travel and features all-new rear radius rods which are not only stronger, but also lighter. 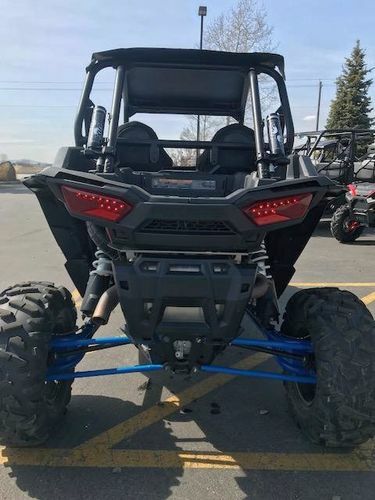 Match that to an astounding 16-inches of front suspension travel, the king of the RZR® family conquers the worst terrain Mother Nature has to offer. And with 24 position clickers, the already precisely tuned suspension can be adjusted even further to any riding condition and ensure the RZR XP® Turbo can tackle the toughest terrain while keeping the ride plush and enjoyable. 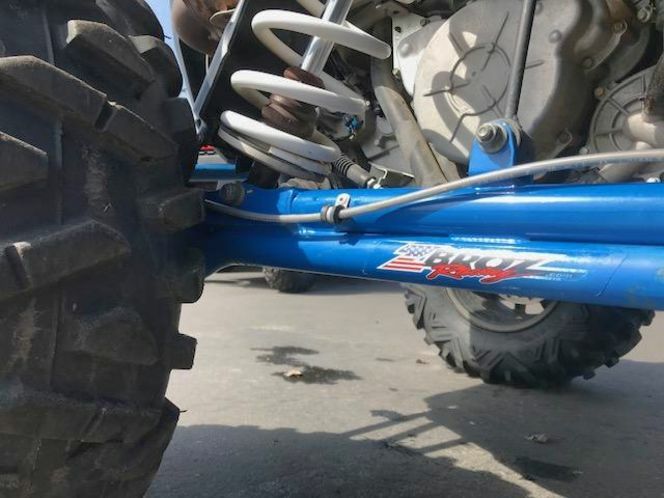 The legendary suspension system also features large coil-over springs; the progressive rate upper spring is a lighter-weight spring that absorbs small impacts while the stiffer main spring maintains ground clearance and absorbs bigger impacts in rough terrain. Optimized Driver Positioning: For better driver positioning, the RZR XP® Turbo features a rider centric seat angle for a more comfortable driving experience. The angle situates the driver closer to the steering wheel bringing the elbows closer to the body for less arm fatigue and a more natural driving position. 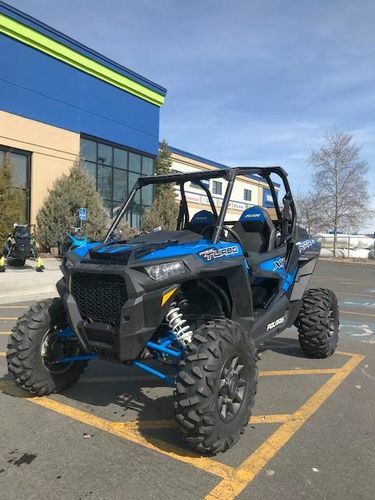 Comfortable and Convenient Interior: The cockpit of the RZR XP® Turbo offers the most comfort and convenience of any RZR®. A new digital gauge is easy to see and a new 4 position key with an accessory position efficiently uses battery power when you're hanging out with friends at your favorite spot, listening to your audio or powering your lights. A High Performance steering wheel with 10" tilt adjustability and center storage box with cell-phone holder place everything within reach, including the glovebox with a quick turn latch. Driver and passenger footrests, adjustable seat belt, and adjustable seat sliders allows you to fine tune your seating position and Dryseat technology resists moisture, while LED interior lighting adds a touch of style. Removable floor drains allow you to washout debris and mud quickly and easily.